In our house, the mere mention of his name evokes an immediate smile just before the flowery stories of yesteryear begin to flow! It’s been four years now since Jesse Crognale, “Mr. C,” taught our oldest in 8th Grade History. Everyone should be so lucky to have a teacher, coach, or neighbor like Mr C was to our son. That is … a person who positively influences you above and beyond the normal call of duty in their role as a teacher, coach, or neighbor. I was blessed to have a “Mr. C” in my life, too; my high school football coach James Rexilius. “Coach Rex” to all who knew and loved him. He had a profoundly positive impact on my life over 30 years ago that is still bearing fruit to this day! His influence on me was far from the exception. At his wake, thousands lined up to express their condolences; each with their own stories of how Coach Rex had similarly impacted them! I bet a man like Mr. C has impacted more than just my boy, as well. Fortunately, I got to know Coach Rex as a peer many years after I last suited up for him. I was able to give him the gift of telling him how great his influence on me was, how much I respect him, and how much love I had for him. 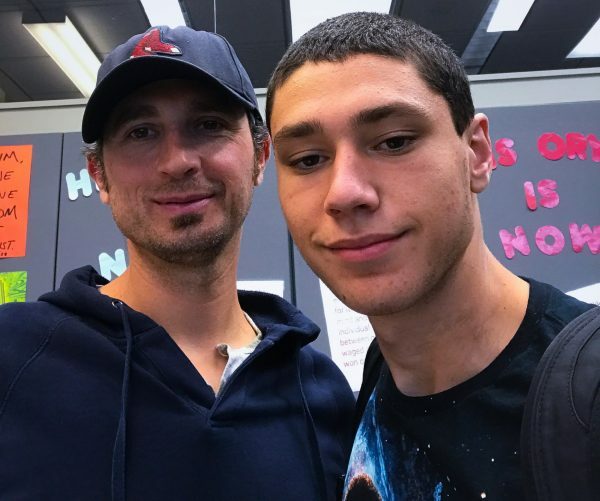 This week, my high school senior went back to his middle school and did the same for Mr. C. My son is looking at colleges now and of course he wanted Mr. C’s advice, because he’s planning on studying education and becoming a teacher himself! I can think of no greater reward than being a Coach Rex or a Mr. C to someone. If you had a Mr. C growing up and he or she is still around, give yourself, and them, the gift of letting them know the impact they had on you. Do it now and pay it forward by becoming your own version of Mr. C for someone else.